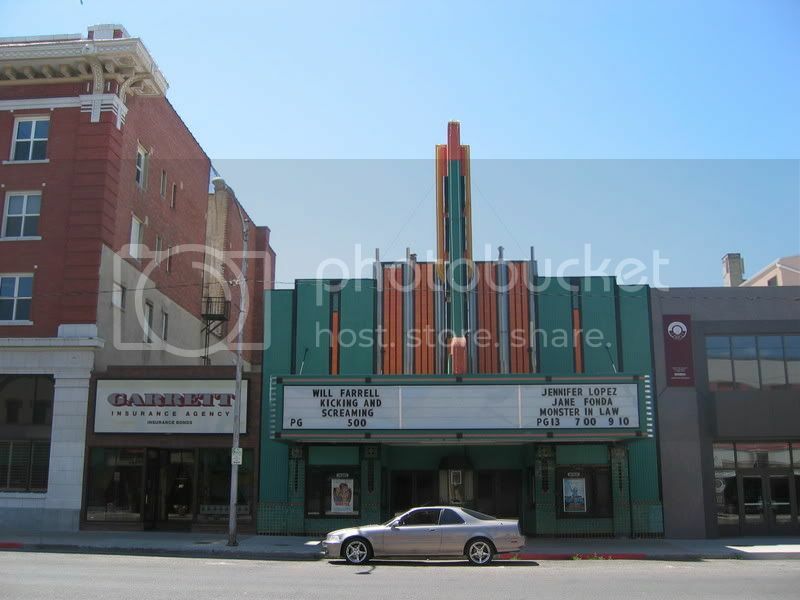 Opened as the Roxy Theatre on September 2, 1935 (Labor Day). From 1936 to 1955 it was operated by Intermountain Theatres. In 1956 it was renamed Utah Theatre. The Utah Theatre is very well preserved, and is a wonderful little theatre to visit. The colorful marquee is kept in perfect condition and the original ticket box is still in use as well as the original concession area. The lobby is quite shallow. The theatre does have a balcony that is always open. In the booth is a Simplex X-L projector with Ultra Stereo Processor and DTS 6D Digital playback processor. In 2005, the Utah Theatre ceased being a first run movie theatre and was used for live performances, with ocassional classic films screened. It was closed in late-2007 for renovation work to be carried out. It reopened in the fall of 2011. Big news here.Theater shut down recently.Now owned by the great Ballam’s Utah festival Opera Company.Stage will be expanded,a million dollar wurlitzer will be installed.A wide variety of live entetainment is projected,plus silent movies.Along with the other two theater,a yearly festival is planned that will make Logan a Mecca for the stage lover.This am’s SL Tribune has a small article on all this. Utah media reports,such as on KSL site,indicate that Ballam’s co.needs money badly,as the economy has dried up the normal deep pockets of the Utah finacial elites.Renovation on the Utah has been halted till the coffers start to fill again. How sad for Logan.By the way,the renovation will lower seating to 350. There are a couple of pictures that reveal the Art Deco design inside the theatre that had been covered up with fabric during its time as a movie theatre.